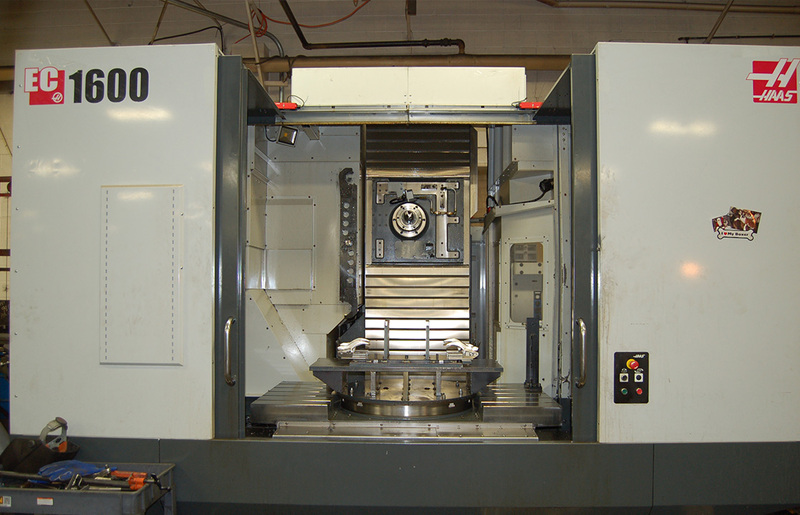 Our Machining center is a HAAS EC-1600 with a table size of 64x 32 with a rotating 31” center platter. Maximum part size is 64x52x32. It also has a 18 tool changer.